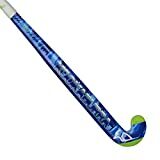 This page does not dictate necessarily which is the best hockey stick maker brand available, more so is an overview and review of the hockey stick maker’s available in the market. As you will find more information throughout this site, the best hockey stick maker will be dependent on a number of factors, including the best hockey stick for your playing position and best hockey stick for your particular style of play. It is though a page designed to give information to you on which hockey stick manufacturers are available in the market and then through further reviews on this site you can hopefully choose the best hockey stick for you. Let’s start with a classic hockey stick brand. Grays Hockey are probably the best recognized hockey stick brand and most likely seen and recognized on the English hockey scene as well as in Pakistan where Grays Hockey is not only a leading brand but one of the best known companies in Pakistan. It will be of no surprise then that Grays was formed in Cambridge, England way back in 1855. In terms of hockey sticks available today, Grays hockey sticks serve a full range of hockey players. Senior and junior players in outdoor and indoor field hockey both for outfield hockey players and goalkeepers. The first time I saw a Kookaburra Hockey stick (it was in the 1990’s) I just thought they were cool. The identifiable logo of the Kookaburra bird screams Australia and funnily enough that’s where the hockey stick brand is best known and has its origins. The best of the Australian hockey team use Kookaburra hockey sticks and they even share their name with the Australian national hockey team, nicknamed the Kookaburras. Also like Grays Kookaburra accommodate the full range of players across hockey player ages and hockey playing styles and hockey player positions. The sport equipment giants make adidas hockey sticks too. They are the first but main brand of hockey stick makers I feature that have such a range of other sports catered for. By this I mean most hockey stick brands focus on hockey and cricket mainly. Not only do adidas invest in the creation of their products, they invest heavily in the game of hockey and have many sponsorship agreements. We’ve moved from traditional, through to Australian then to enormous hockey stick brands, now we take a look at the first brand I describe as bespoke, and lets start with an Elephant! TK Hockey sticks are the ones with the Elephants crossing trunks (in the shape of hockey sticks of course) that might lead you to believe, with its history in the sport, that this is an Indian connection. However TK hockey sticks are German, created by a German supremo hockey player called Thomas Kille. In the 1970’s, driven by a passion to improve hockey sticks for a sport he loved, Thomas’s hockey stick reinforcement with fibre glass and polyester materials are linked with the founding of these new style of hockey stick. Further information on the history of TK hockey sticks and their use by players in the field hockey game can be found here. I describe them as bespoke, maybe I should describe TK hockey as more “pure” because its origin is from, and remains firmly in hockey equipment only. A very wide range of sticks is available from TK hockey but they are probably best known for top of the range sticks for the good to brilliant players. We review many of the TK hockey sticks in our review TK hockey stick pages that can be found by clicking above. Did we decide on “bespoke” or “pure”? Either way here is the next, Gryphon hockey sticks are made by a company who love and exclusively develop hockey sticks and equipment. Similarly to TK they specialise in the higher end of demands from a hockey stick for the more advanced players but do not discriminate and in fact do one of the best jobs at separating their ranges by requirement of the hockey player rather than by the style of hockey stick (a good tip for anyone marketing any product by the way). Here’s something new, really new. JDH hockey was formed in 2013 by super-player Jamie Dwyer. An Australian hockey player who has won every major hockey event in the world as well as world player of the year 5 times, impressive. Carrying on his winning mentality JDH hockey sticks have Jamie’s influence in design and customisation with their playability in mind. JDH hockey sticks are being seen on the hockey fields of the world already and are well regarded. Another purest, Mercian hockey is based in the UK specialising exclusively in hockey equipment including hockey sticks. The Mercian hockey stick brand has been in the market of developing innovative hockey sticks for over 40 years and pride themselves on innovation using modern technologies. For me, there is something comforting about a brand that designs and manufactures’ hockey sticks in the UK with its history of being at the forefront of technology innovation. You can therefore trust in the quality of the Mercian hockey sticks and equipment. The Mercian hockey brand does not disappoint with a great range of sticks for hockey players right across the spectrum. The range includes hockey sticks manufactured with different materials and with a good mix of styles to suit all needs. Our reviews of the Mercian hockey stick range can be found on the Mercian Hockey stick review page. Back to giant sports brands for a second we take a look at the Slazenger hockey stick brand. Like adidas Slazenger are a well-known brand across many sports, not just hockey sticks. My personal experience of the Slazenger brand before researching their hockey sticks had associated it with the lower end of the market. Though as a hockey stick manufacturer Slazenger offer a great range of sticks to suit different levels of players from beginner to reasonable intermediate players. Back to hockey brand purist’s and we can talk about Mazon. Another hockey stick manufacturer staying true to its roots and only developing hockey stick equipment Mazon is obviously so well regarded that (at the time of writing) it uses hockey player referrals and doesn’t need a website. The V range of sticks from Mazon are extremely well regarded in the sport and the brand is at the forefront of development of its hockey sticks. Another Australian brand Mazon is also up there on the cool board of hockey sticks including branding some of its sticks as ‘Black Magic’ which we could all do with sometimes to get past those solid sweepers. Mazon as you would expect from an exclusive hockey stick brand have sticks designed for hockey players of all standards with particular focus on the good club to professional players. Did I label Australian hockey brands as cool just now? What would you say if I said Pakistani hockey sticks are cool, well take a look at Malik. Pakistani base hockey stick brand make some of the coolest looking sticks on the market and if their website is anything to go by then cool is their middle name. Another pure hockey equipment maker, Malik don’t have as long a history as Grays but do not disappoint in history for quality hockey sticks to suit all. Not only are their sticks great, they are a active force in the world hockey scene boasting sponsorship of some great players and teams. Particularly well know for their “dribble curve” stick Malik have a fantastic range of stick styles right across the spectrum. Our review of Malik hockey sticks starts here on our Malik hockey stick review page. We all have rituals, is your ritual hockey? Well Ritual hockey sticks can certainly help you with your habit. Ritual hockey sticks might be a relative new kid on the block but that’s not going to stop them. Two main focuses for Ritual are technology and design. Make something great and make it with style, makes sense. Started by keen hockey players with experience in the business world of design and manufacturing Ritual are producing great hockey sticks and other equipment. Dita hockey sticks came in to existence in the 1950’s when Father Dita built his factory in Pakistan. They have always been on the hockey field and always will be. Dita hockey sticks are used by many top players on will be found across the globe on hockey stick players hands. Designed with players in mind, Dita hockey sticks are a great choice still to this day with a wide range of composite sticks. The Dita hockey stick brand was moved to a dutch company in the 1990’s and since then they have been involved in the development of great hockey technology advancement. You can access our Dita hockey stick review page which will give you more information on the sticks that are available from Dita and how different models might effect your game. A relative new comer to the field hockey stick market Voodoo, as its name suggests intended to become different. Born in Australia with absolute quality and technology trickery at the heart of their story Voodoo make great quality hockey sticks. You can skip to our Voodoo hockey stick review page and get the latest review of Voodoo hockey sticks. Only established in 1996 Voodoo is a well-known name on the international field hockey circuit and make top of the range sticks to match their presence there. You can probably get a good feel for what the brand is about from the name (it’s not an acronym, not that I know of anyway), they are about doing things slightly different.